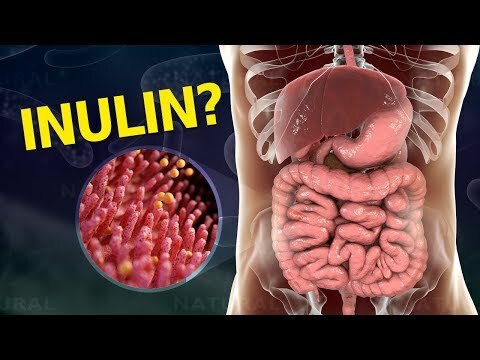 In this video, you are going to learn about inulin, a water-soluble prebiotic fiber, that has been found to offer many health benefits. Do you know what garlic, onions, asparagus, yams, artichoke, bananas and wheat have in common? All these foods and many others contain a fiber called inulin. We know that fiber is part of a healthy diet because it helps control our blood sugar by regulating insulin levels, lowering our cholesterol and improving bowel movements. But what makes inulin so special? It is a soluble fiber that isn’t absorbed by our intestines, but is instead considered to be a prebiotic, which serves as food for the bacteria found in our intestinal tract. It benefits our intestinal flora, thus regulating the function of our intestines and improving our immune system. Inulin has many other benefits that will make you want to include it in your diet.